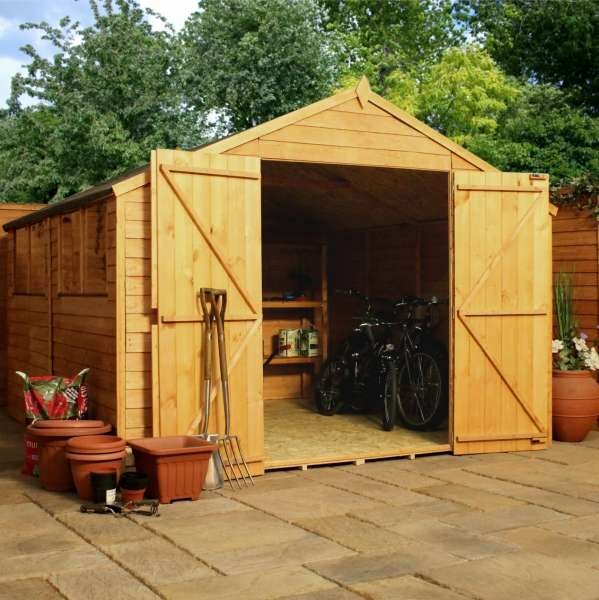 This fantastic shed is highly functional and durable. When you’re looking for a heavy duty shed, the Hampshire apex wooden shed will not let you down. 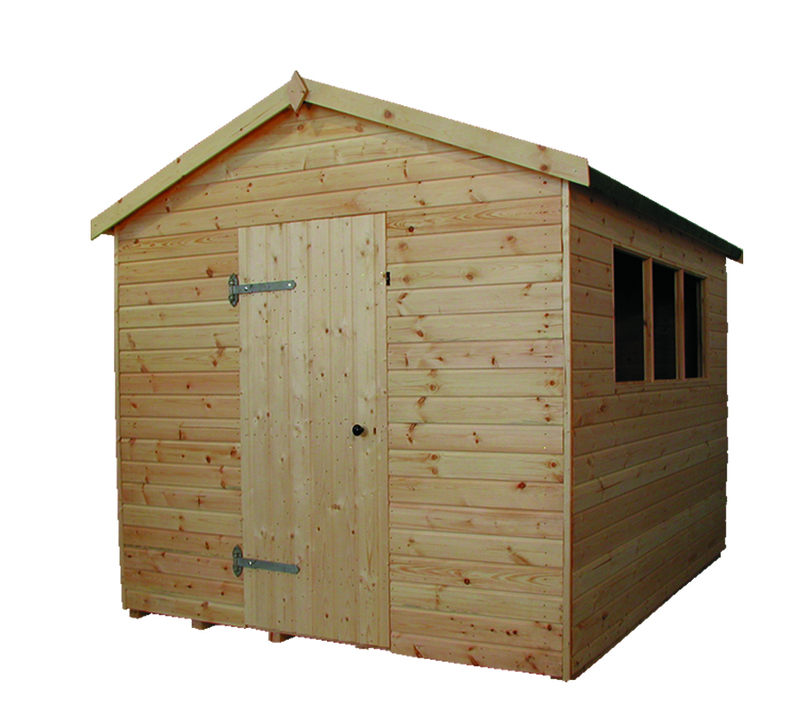 Made with thicker than usual 15mm cladding throughout the whole shed, including the floor and roof. It also features 60 x 50mm framing for extra strength. 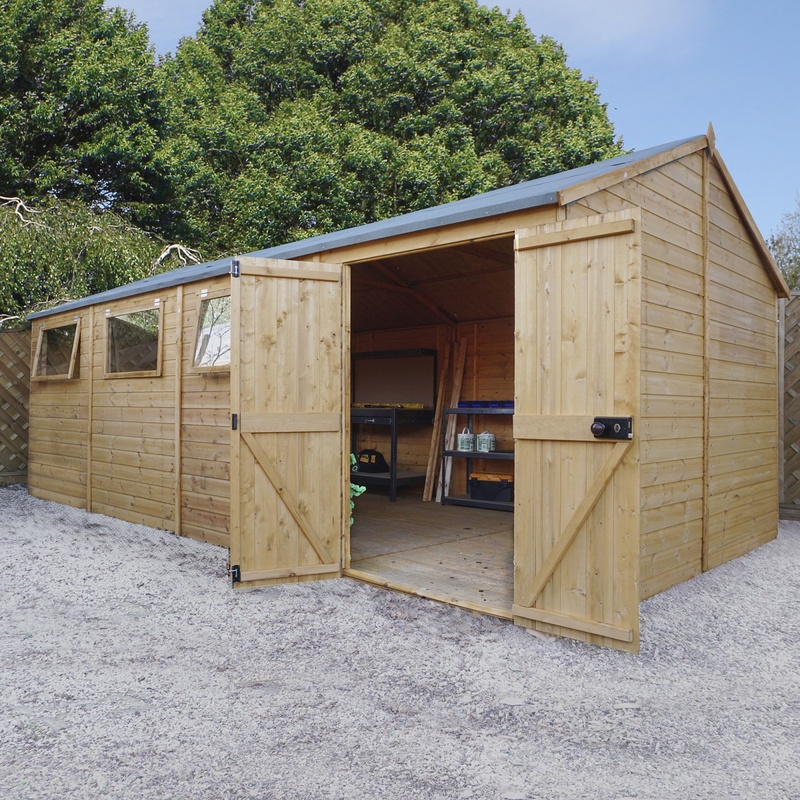 The height of this shed is significantly higher than the traditional shed which provides more space for storage. 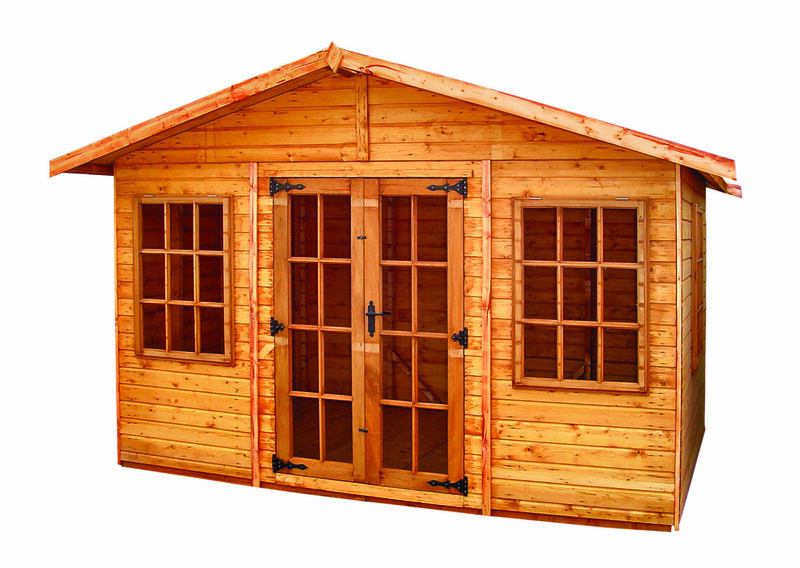 The door includes rim lock, handle and two keys so you can be sure that your possessions are secure at all times. 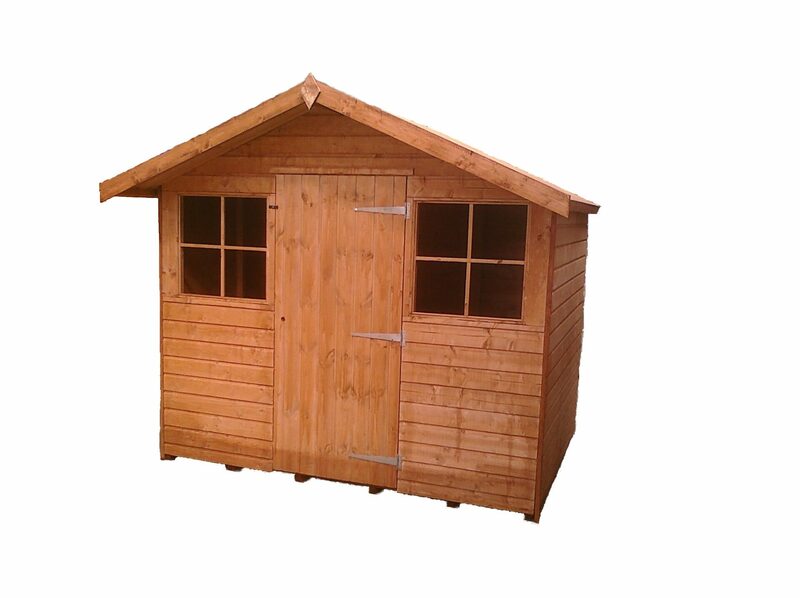 These sheds are made to order so we can meet your requirements. Taller door with two heavy duty galvanised hinges. 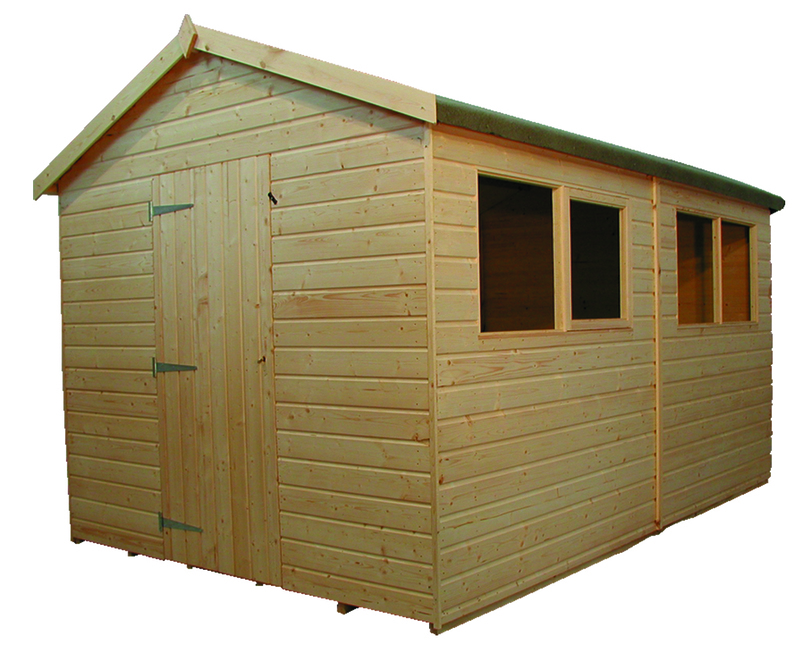 manufactured from thicker than average 15mm cladding throughout including floor and roof on 60x50mm sawn framing. 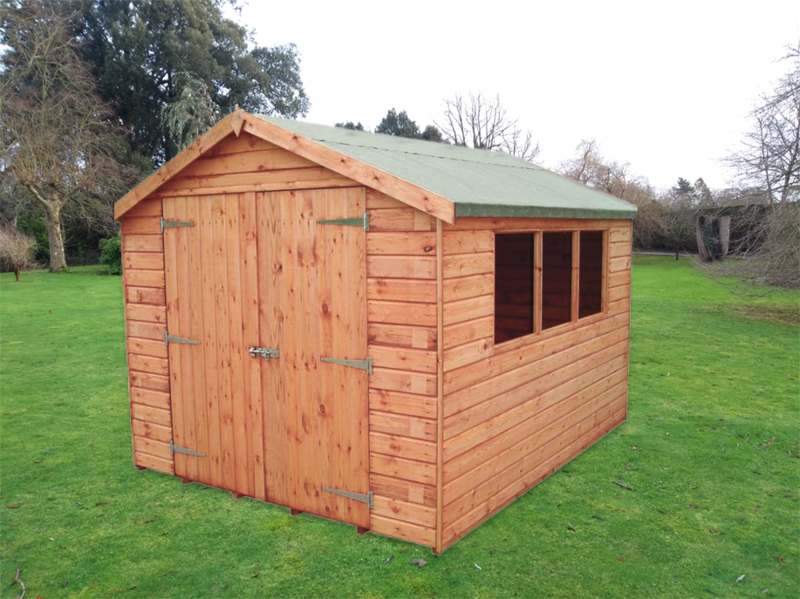 This building is a lot taller than a standard shed and has a heavy duty door with rim lock, handle and two keys, heavy duty hook and band hinges and extra heavy roof support and felt. 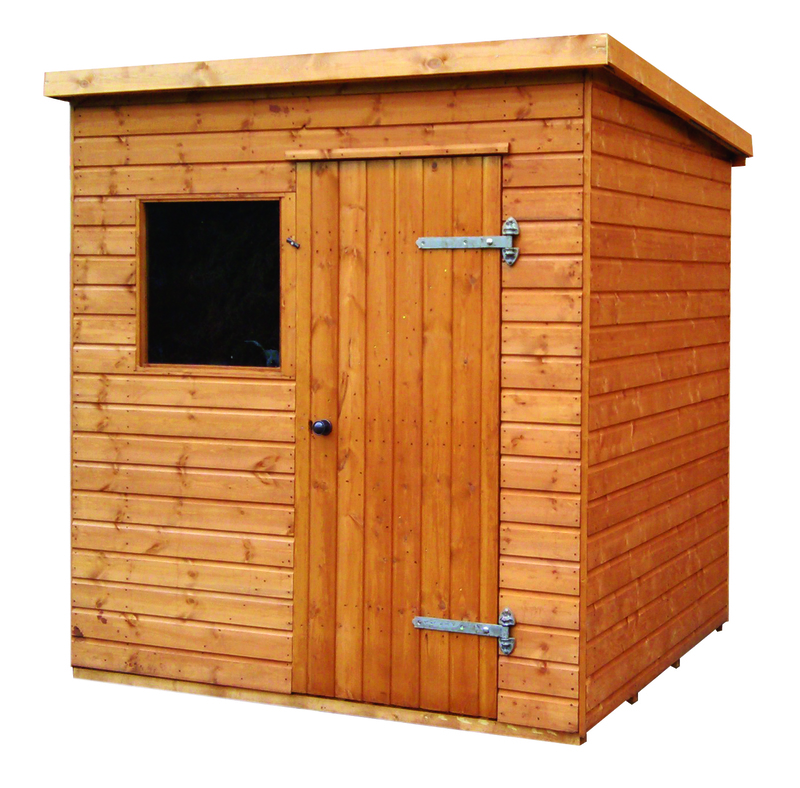 it is made to order so can be altered to suit most requirements – contact your local expert for details. Internal eaves height is 1.98m (6’6).